NRC international humanitarian organization said that Israel has either demolished or damaged three schools for Palestinian children in the West Bank. Israel has either demolished or damaged three schools for Palestinian children in the West Bank just a few weeks before they were set to open for the new school year, the the Norwegian Refugee Council (NRC) international humanitarian organization said in a statement on Wednesday. “It was heart breaking to see children and their teachers turning up for their first day of school under the blazing sun, with no classrooms or anywhere to seek shelter in, while in the immediate vicinity the work to expand illegal settlements goes on uninterrupted,” NRC Policy Manager Itay Epshtain said, as quoted in the statement, referring to the settlements, which Israel constructs in the West Bank despite objections from the United Nations. So far, around 55 schools in the West Bank, including those funded by the European Union, were hit with demolition warnings by Israeli authorities, the statement read. "We call on the governments and donors funding Palestinian children’s education to exercise all of their influence to prevent this violation in all its forms … The destruction of educational structures funded by European money is not just a violation of international law. It is also a slap in the face to the international community providing aid to the occupied Palestinian population in a bid to ensure safe places of learning for children,” Hannibal Abiy Worku, NRC Director for Palestine, said. A total of 24 cases of direct attacks against Palestinian schools, including with the use of gas and sound bombs, were registered in the first quarter of 2017, the NRC stressed. Israel had demolished more Palestinian homes since the start of 2016 than it had in the whole of 2015, according to the UN Office for the Coordination of Humanitarian Affairs (UNOCHA). Palestinians seek diplomatic recognition for their state on the territories of the West Bank, including East Jerusalem, which is partially occupied by Israel, along with the Gaza Strip. 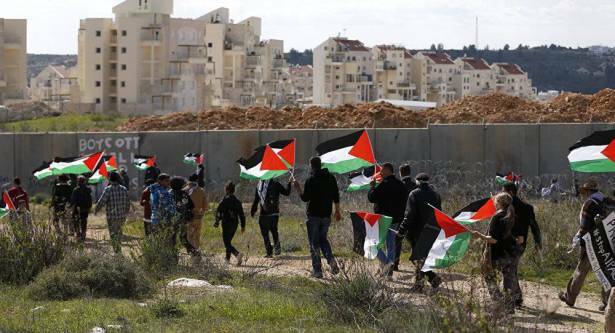 The Israeli government refuses to recognize Palestine as an independent political and diplomatic entity, building settlements in the occupied areas despite objections from the international community. On February 6, Israel’s parliament passed the law legalizing almost 4,000 Jewish housing units on about 2,000 acres of privately owned Palestinian land, unleashing the wave of worldwide criticism.